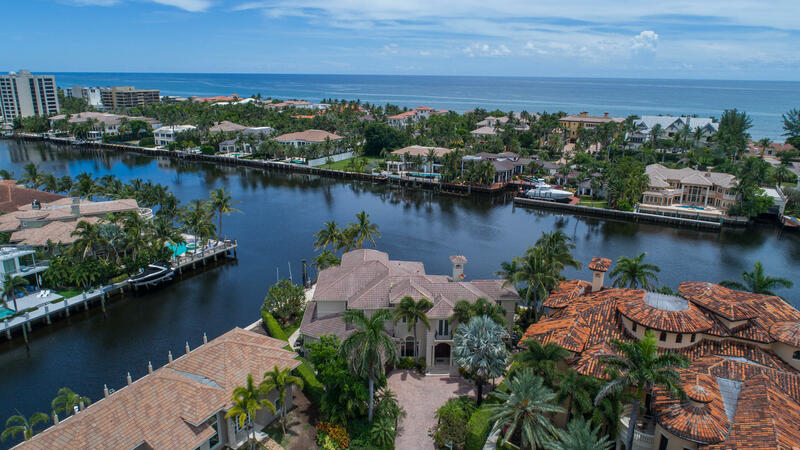 All TROPIC ISLE 3RD SEC homes currently listed for sale in Delray Beach as of 04/21/2019 are shown below. You can change the search criteria at any time by pressing the 'Change Search' button below. 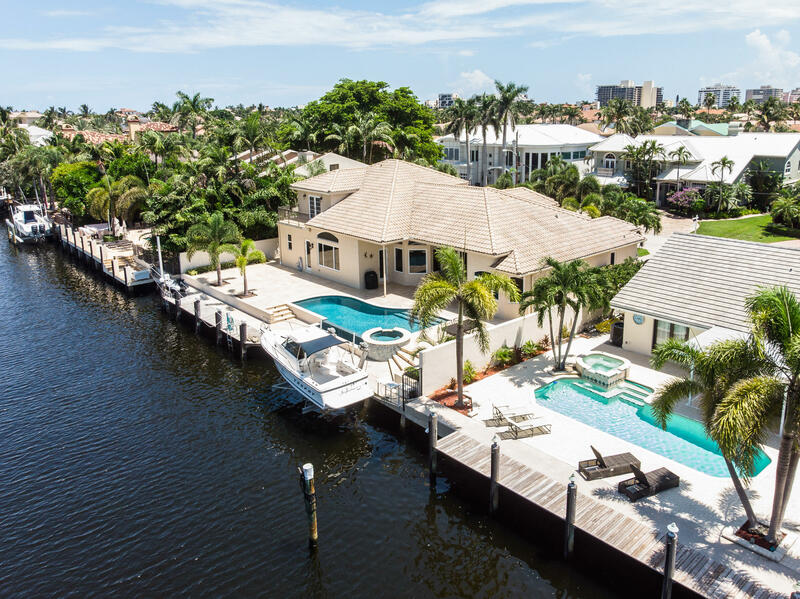 "Front-row views sweep up and down the Intracoastal from this luxurious Modern Mediterranean point estate surrounded by 208+/- ft. of waterfront with side yacht dockage. Capturing water views from most rooms, the light, bright interiors feature a soaring window-walled living room with fireplace and professional-style bar. Outdoors, guests are served by a summer kitchen/bar next to the 50+/--ft. resort-like waterfall pool. The information herein is deemed reliable and subject to errors, omissions or changes without notice. The information has been derived from architectural plans or county records. Buyer should verify all measurements"
"HUGE PRICE REDUCTION! $100,000!! MUST SEE! Newer Construction! This stately home features 5bd, 6.5 ba, 3 car garage. loft with entertainment bar and media room. Custom designed staircase and Elevator. Beautifully appointed woodwork throughout home including wainscoting and solid raised wood paneled doors. custom heated pool and spa, marble covered patio with 90 ft. of deep water & 70ft. of dock. The MOST desired Southeast exposure. Top of line NEW boat lift handles 16,000lb boat or up to 36'+ & 2 floating docks for jet skis and more! Full house generator." 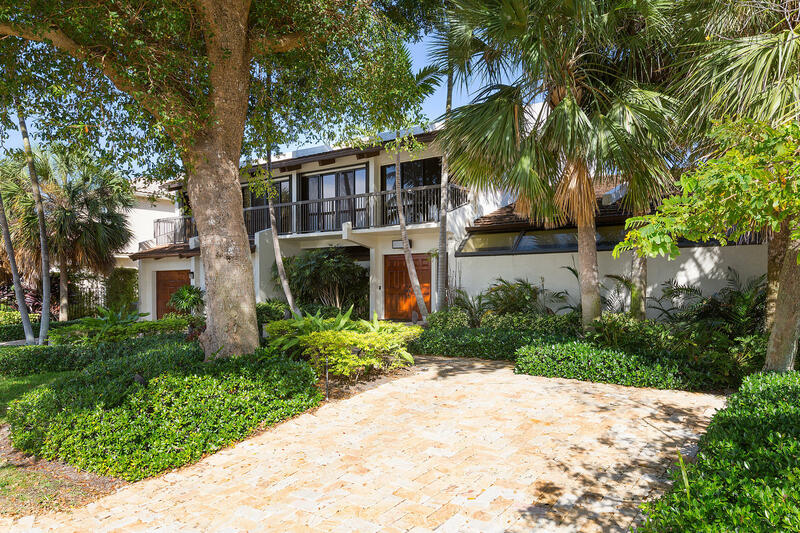 "GORGEOUS SOUTHERN EXPOSURE 5 BR DEEPWATER RESIDENCE ON A WIDE CANAL IN HIGHLY DESIRABLE TROPIC ISLE! NO FIXED BRIDGES TO THE OCEAN. THIS OPEN CONCEPT HOME WITH 2-STORY VOLUME CEILINGS IS FANTASTIC FOR ENTERTAINING, BOTH INSIDE AND OUT! SPACIOUS GOURMET KITCHEN WITH ALL THE FEATURES YOUR HEART DESIRES PLUS CONVENIENT EAT-IN BANQUETTE SEATING. OUTDOOR CALIFORNIA KITCHEN IN YOUR TROPICAL BACKYARD OASIS. NEW LED LIGHTING INSIDE AND OUT. CUSTOM SHELVING IN ALL CLOSETS AND 2ND UPSTAIRS LAUNDRY RECENTLY ADDED. ENTIRELY HURRICANE IMPACT GLASS FOR PEACE OF MIND DURING STORMS. 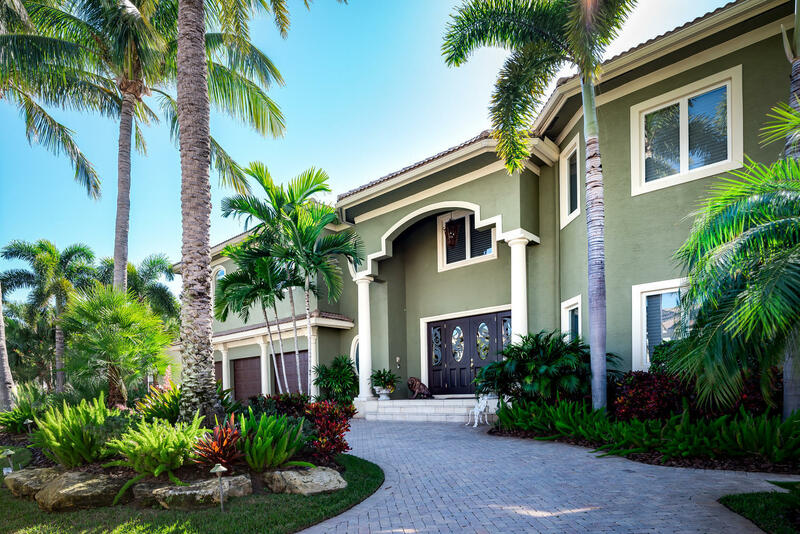 HOME FEATURES MARBLE AND GRANITE THROUGHOUT, FIREPLACE, WET BAR, 3- CAR GARAGE & 2 VERANDAS OVERLOOKING THE TROPICAL POOL. NEW DOCK RECENTLY INSTALLED AND 15K LB BOAT LIFT. COME SEE YOUR BOATER'S PARADISE TODAY! See Supplement"
"Coastal living at its very best! 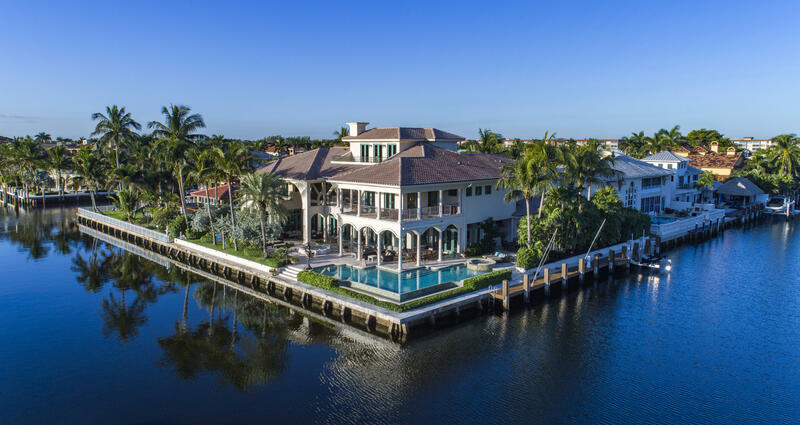 Exclusive waterfront residence in one of Delray's premier waterfront communities situated in a beautiful canal location with a 70 foot dock. This home features an oversized master suite, updated master bath with steam shower and large walk in closet. Enjoy the beautiful, eat-in gourmet kitchen complete with large center island, breakfast bar, three ovens, a warming drawer, two dishwashers, ice maker, sub zero refrigerator and freezer and granite countertops. The spacious family room has vaulted tongue and groove ceilings and opens to the formal dining room which overlooks the pool area and Intracoastal. The gracious patio has been updated with a built in outdoor kitchen, grill and bar area, all in immaculate condition." "Incredible Deepwater Showplace. All newer Hurricane SIW Impact Glass. First Floor Master Suite. Please see Supplement sheet for all the additional features. Absolute Showplace!"